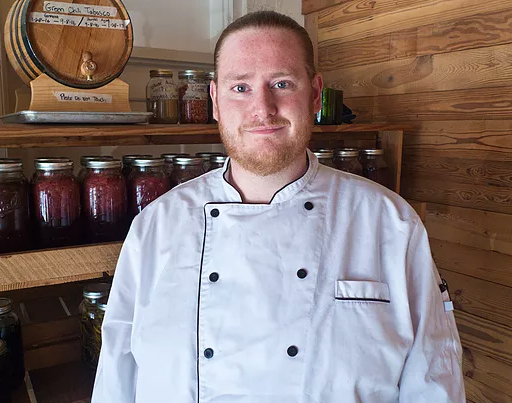 You might recognize Naturally Fermented founder Chef Pat Mulvaney from his main gig at The Millworks. It was actually while working in their kitchen that Pat started thinking about how to create a sriracha sauce from scratch. He developed a method that starts with fresh ingredients grown without pesticides or GMOs. Green chiles and garlic create the sauce base that is then lacto-fermented. The result is a vibrant green, spicy and tangy sauce you’ll want to put on everything! Our sriracha doesn’t just taste better, it is better. Without pesticides or GMOs, you can rest assured knowing you are supporting farmers with sustainable practices and naturally fermented in accordance with nature — keeping your body free of harmful chemicals. He has a few other sauce experiments in the works that we’re looking forward to trying, but in the meantime we’re delighted to carry Harrisburg’s favorite sriracha!